Tennis Legend Boris Becker believes Roger Federer still has enough in his Tank to win up to 20 Grand Slam titles. Federer's haul so far is a record setting 18 slam wins. After going without a major title since 2012, the Swiss maestro stalled at number 17 for several years. And when a rare injury setback sidelined him for months, many felt the aging Fed express was finished. But then he pulled off a shocking comeback to clinch number 18, when he won the 2017 Australian open. It was a victory made all the more glorious because beat his greatest rival Rafael Nadal in the finals. 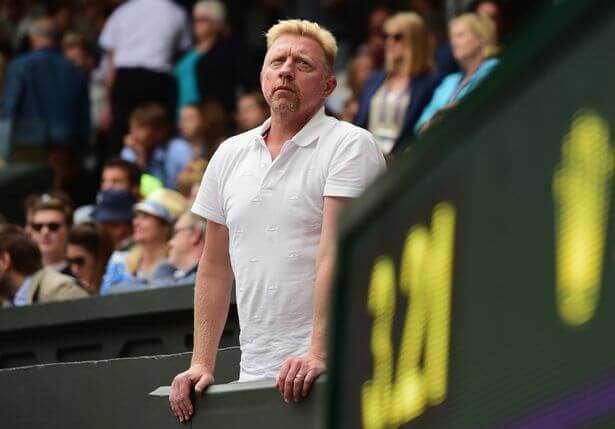 But Wimbledon legend Boris Becker believes Federer could go on to win up to 20 Grand Slams. Roger's quest for his 19th slam title will be undertaken when he starts as the 3rd seed at Wimbledon. Here the man whom many believe to be the greatest tennis player ever will launch his bid for an all-time-record eighth title at the All England club. And Becker, who holds a record of his own as the youngest-ever Wimbledon champion at the age of 17 back in 1985, strongly believes Federer could disrupt the new order of Andy Murray,Djokovic and Stan Wawrinka again. In fact it will be a surefire battle of wills and skills, since Federer’s resurrection, and Rafa Nadal’s ‘decima’ on clay at the French Open, will make it a duel between old-timers and young bloods. According to Becker: “He is Roger Federer – the name speaks for itself. He has defied the odds many times in his life before, and he’s spent 300 weeks at No.1 in the world rankings. “He has always done things the Federer way and he has rejuvenated the sport. As Fed continues to rewrite the history books After winning his record 9th Halle title, we continue to applaud the seemingly indefatigable champion. The outspoken German who is the former coach of another of the Swiss champion's rival Novak Djokovic, was present to wiitness the 35 year old's tennis decline and resurrection. So it's no surprise he is in awe—so are we all.